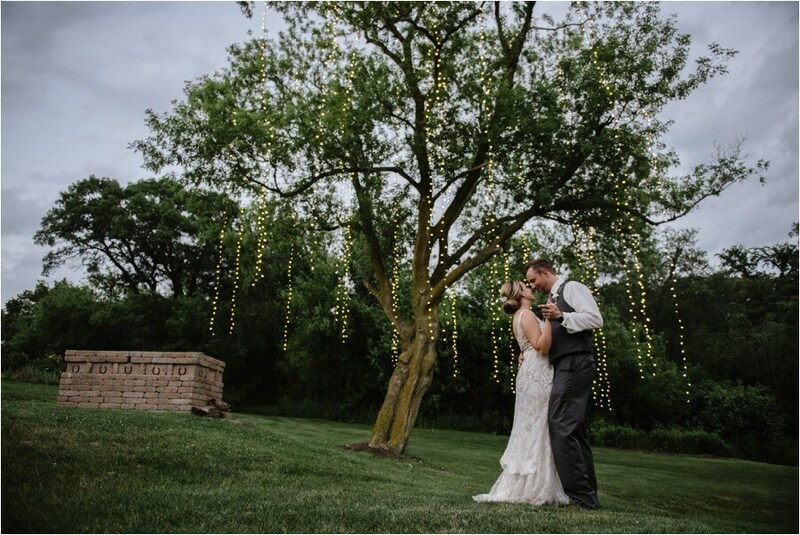 Dream day, dream couple, dream venue! 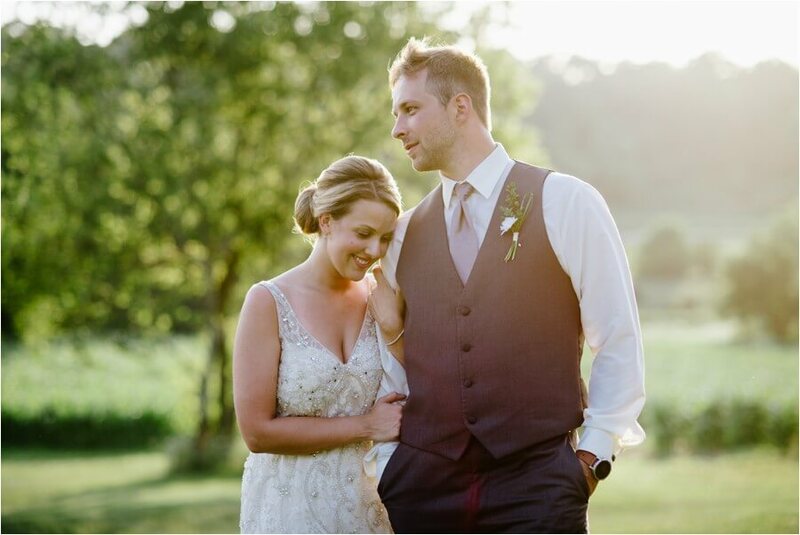 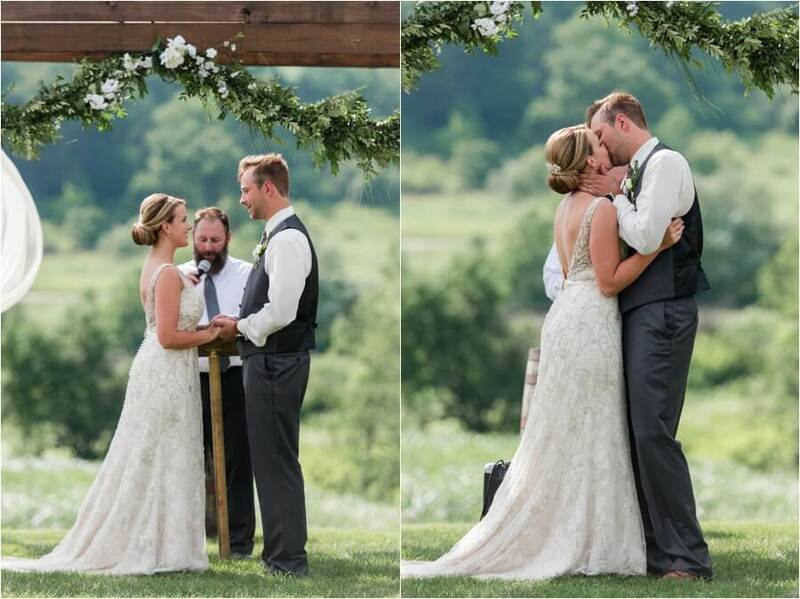 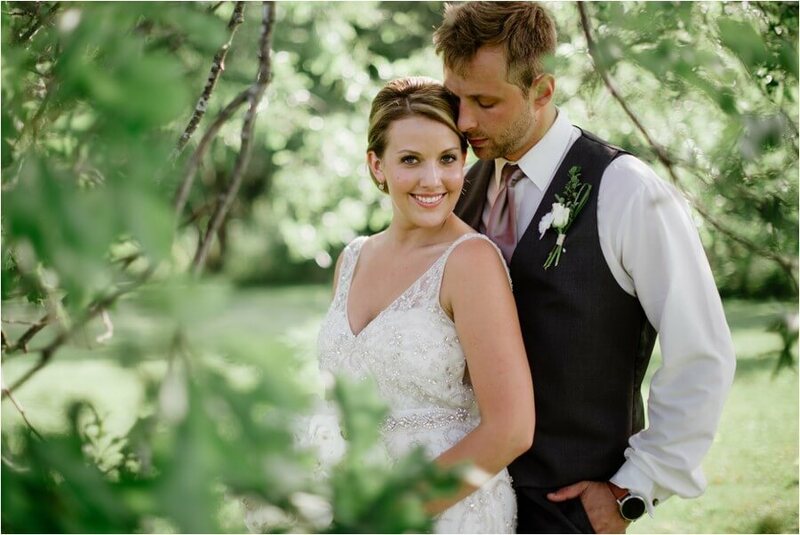 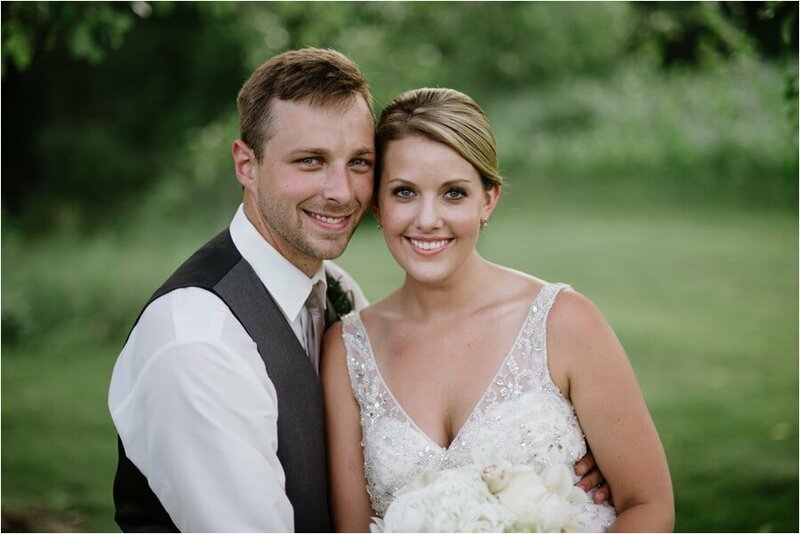 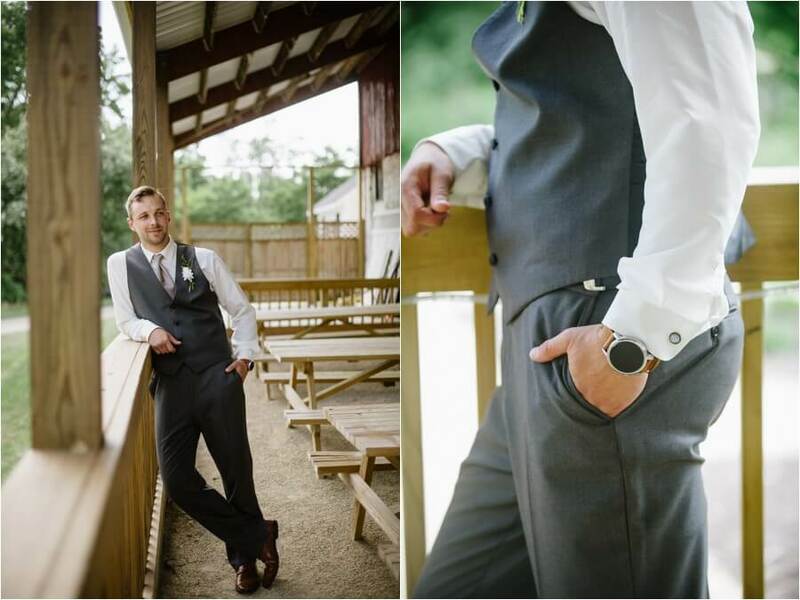 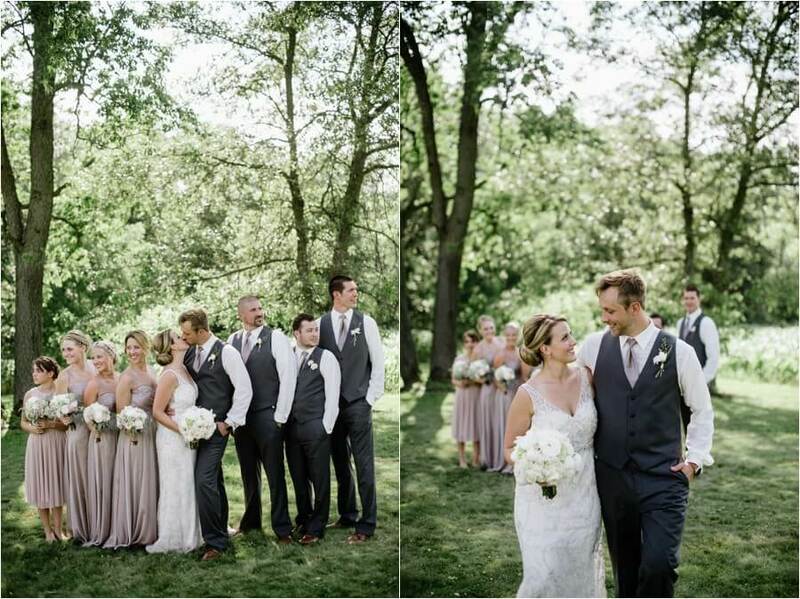 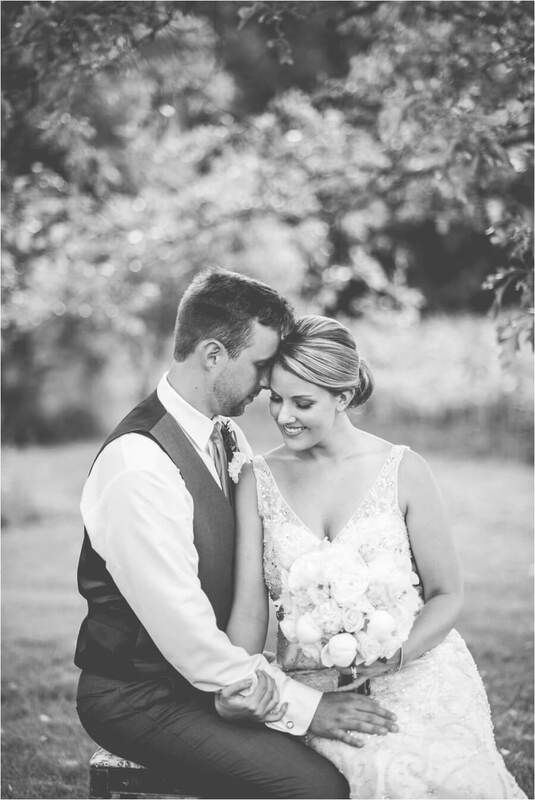 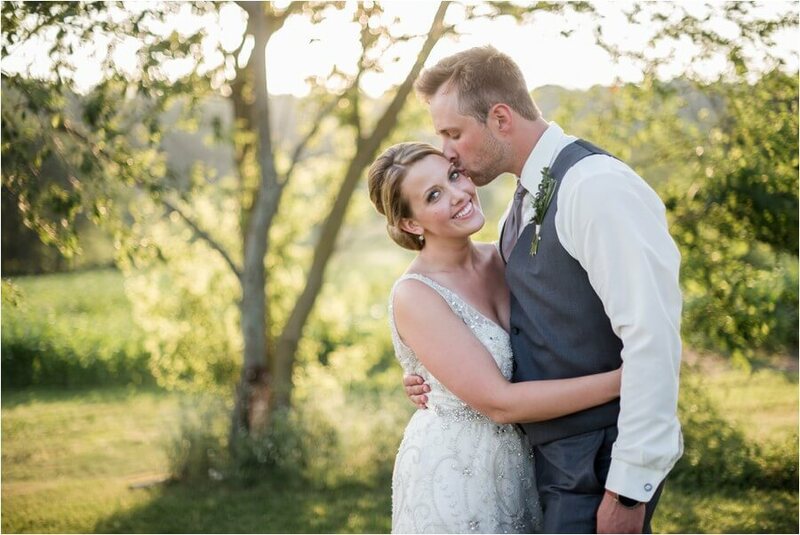 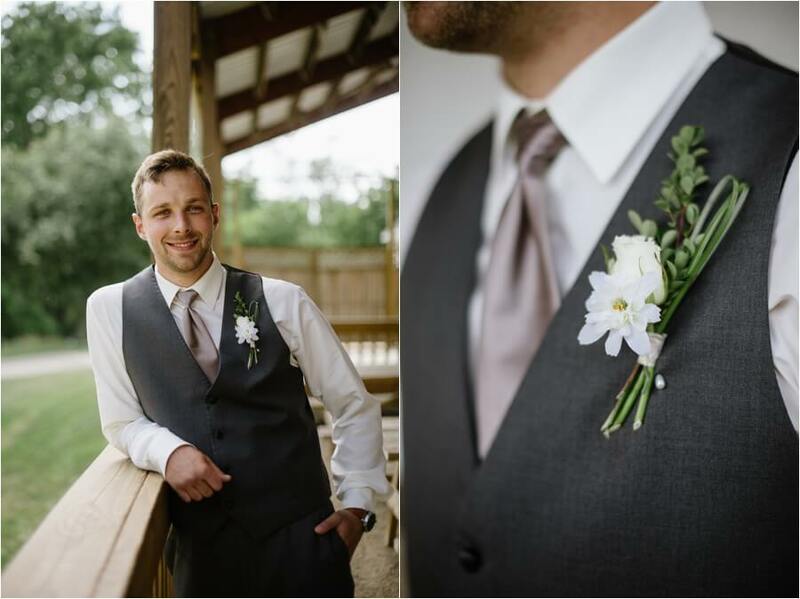 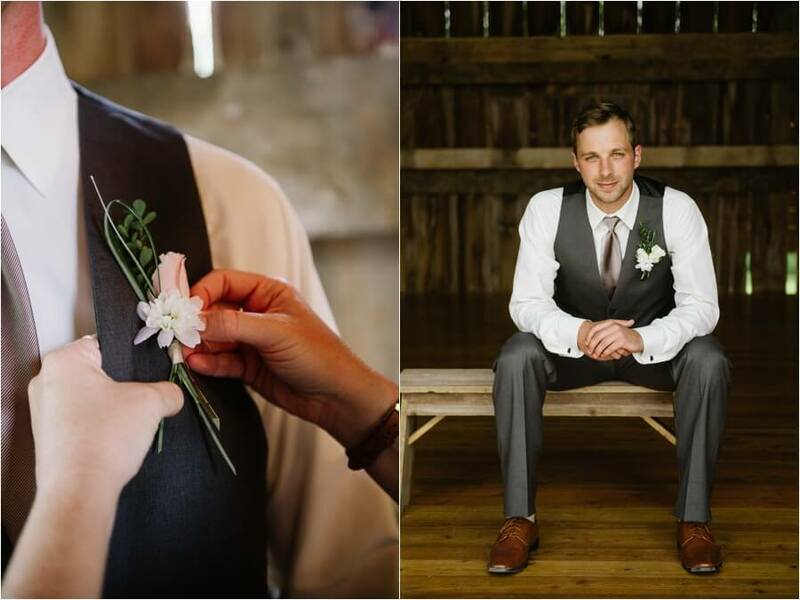 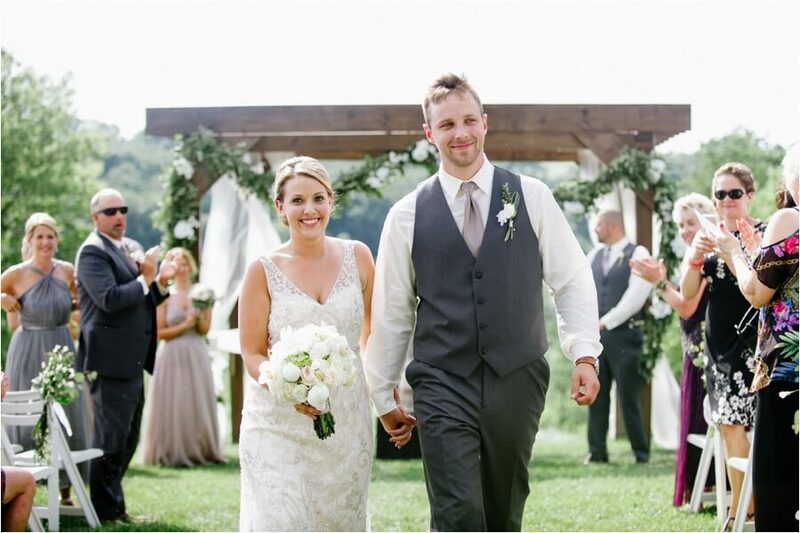 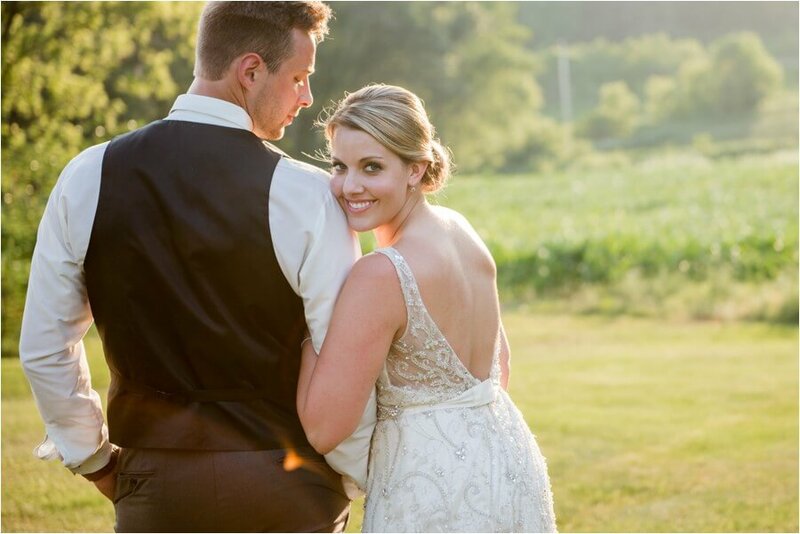 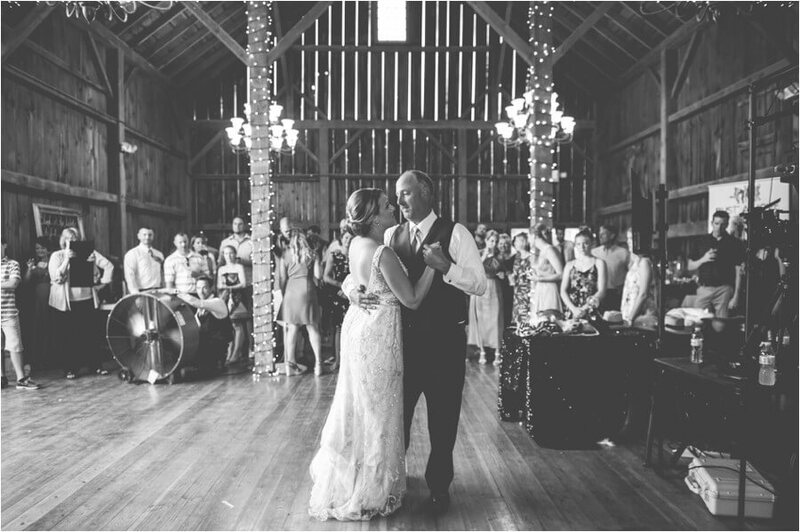 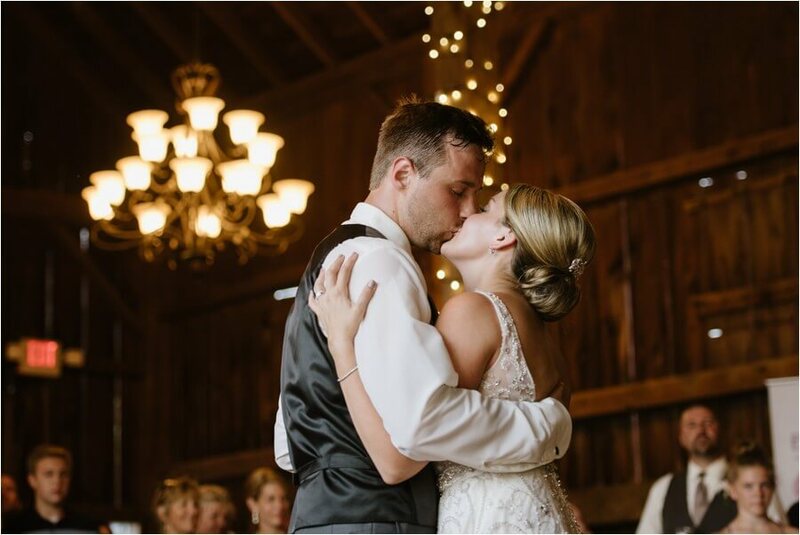 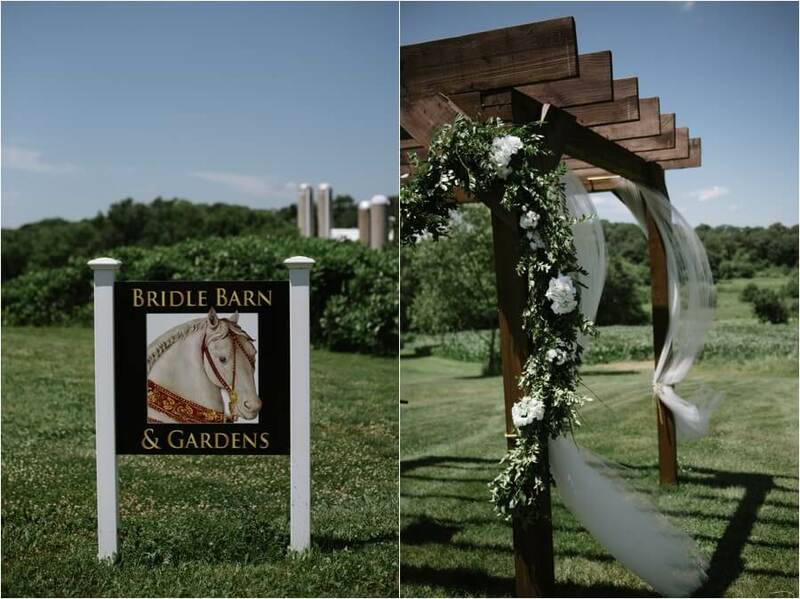 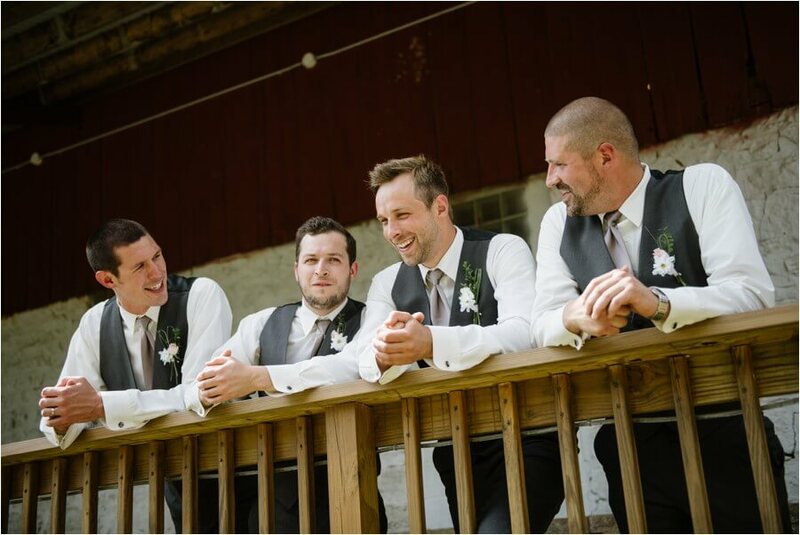 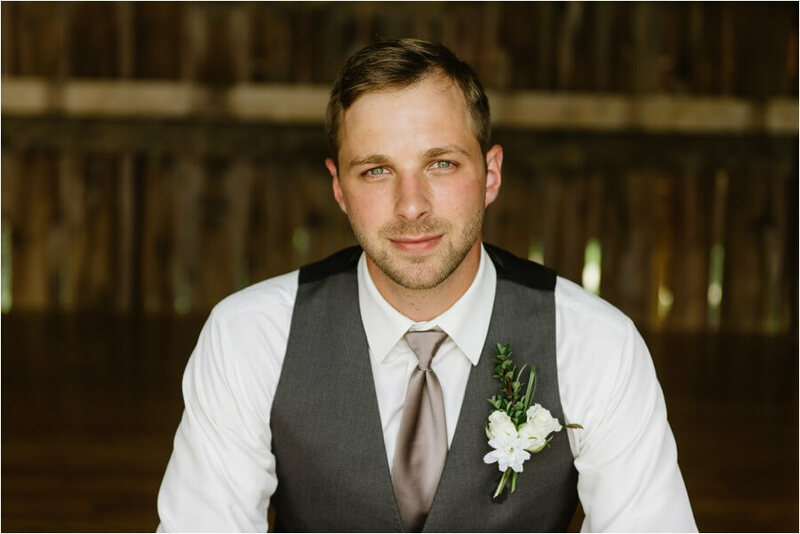 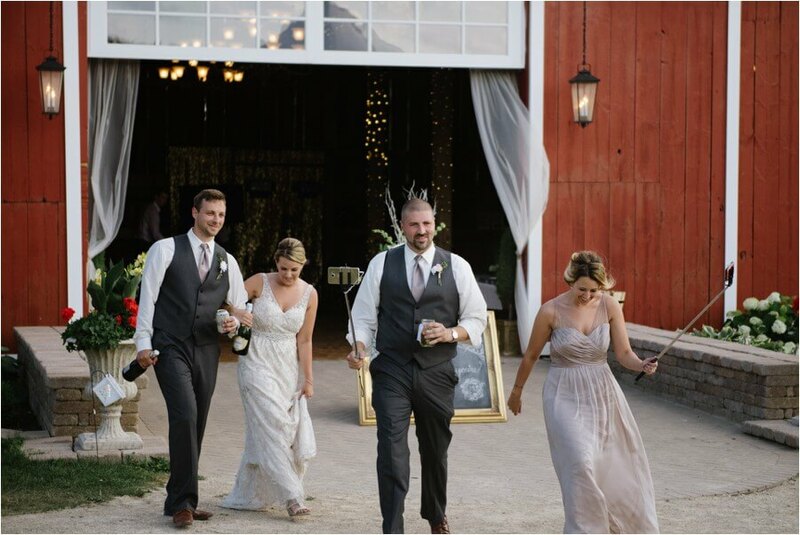 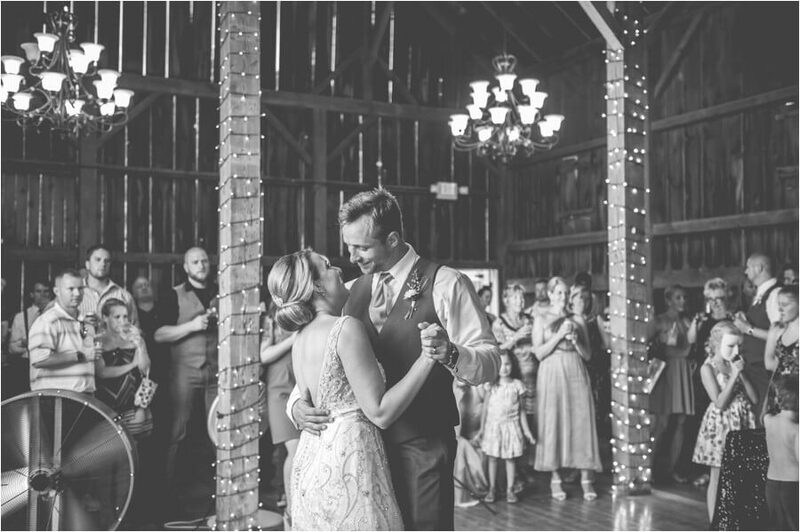 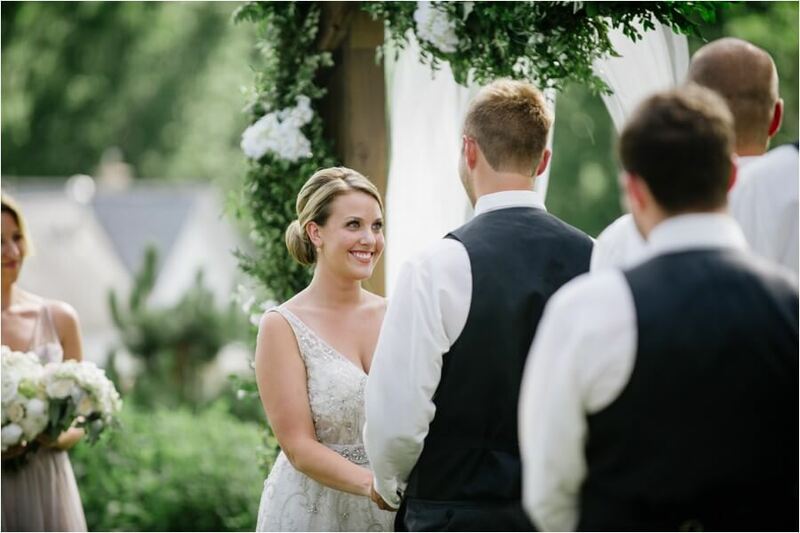 College sweet hearts Jamie and Brad happily tied the knot at the beautiful Bridle Barn in Mt. 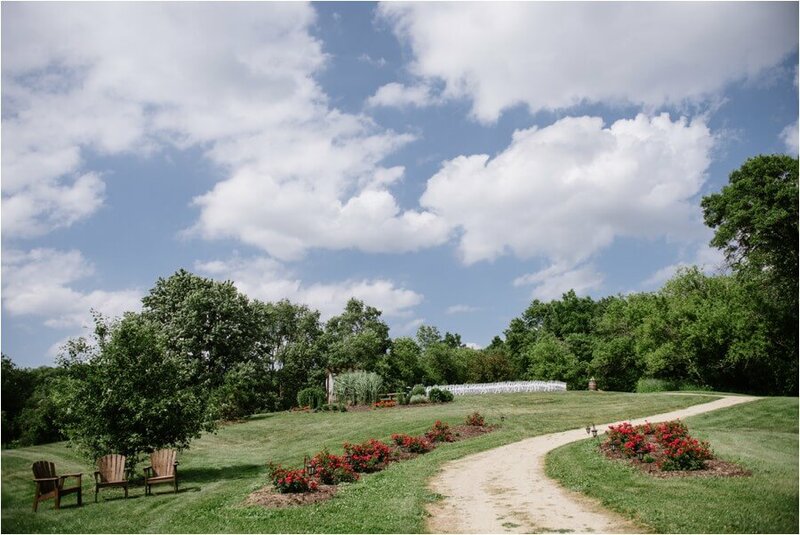 Horeb on a warm summer day in the late afternoon. 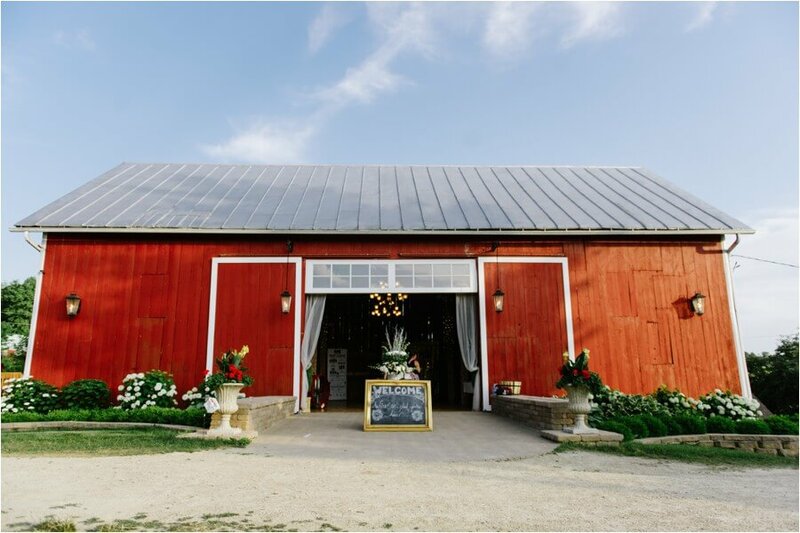 This venue had me swooning from the moment I arrived. 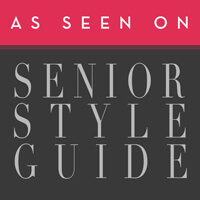 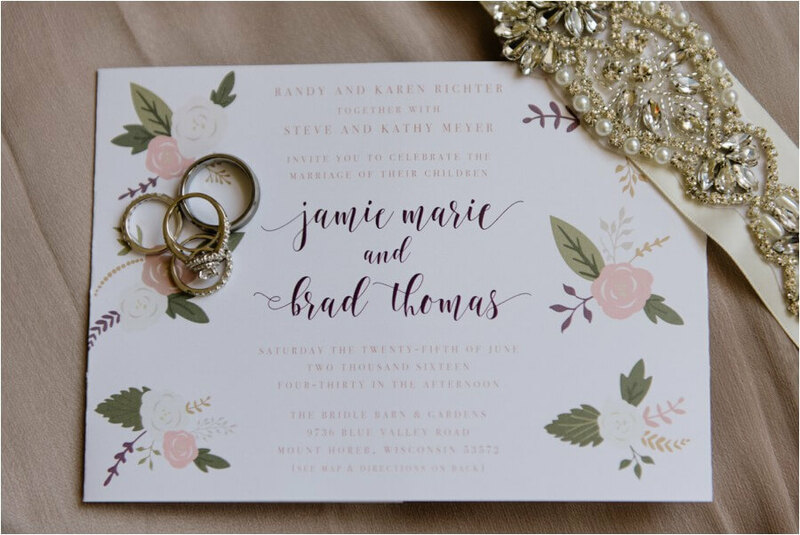 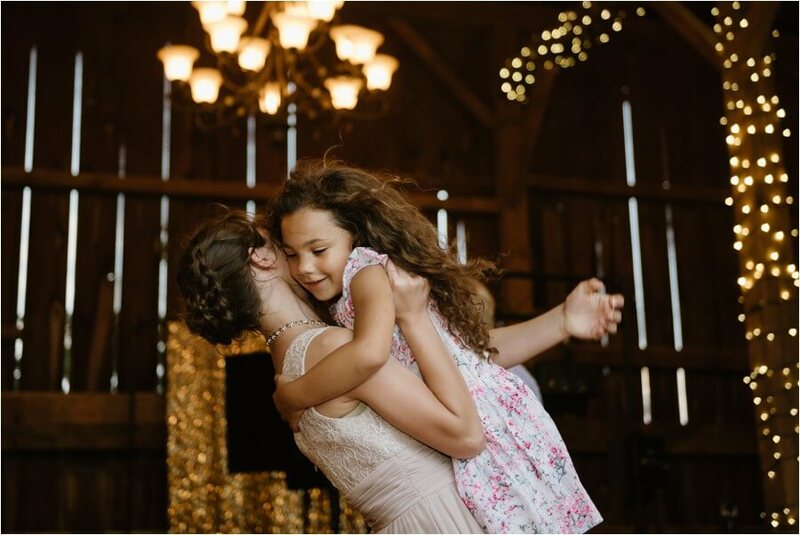 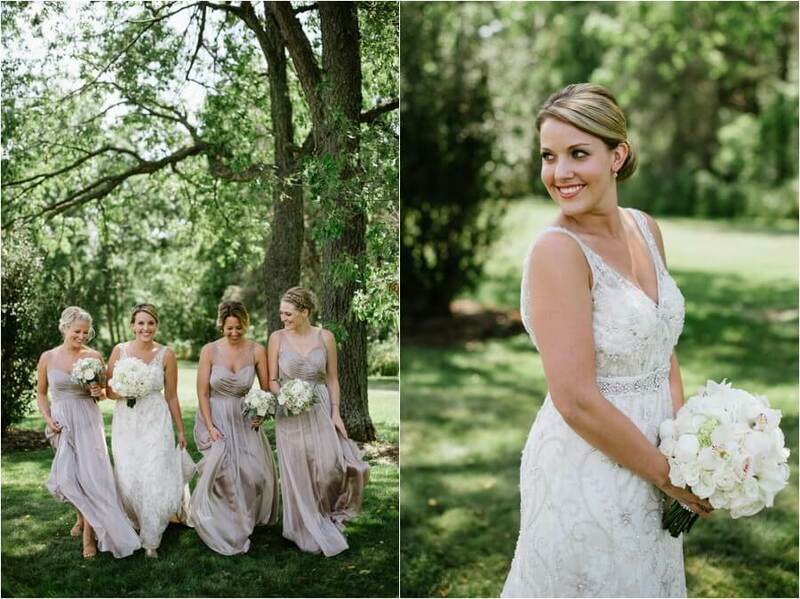 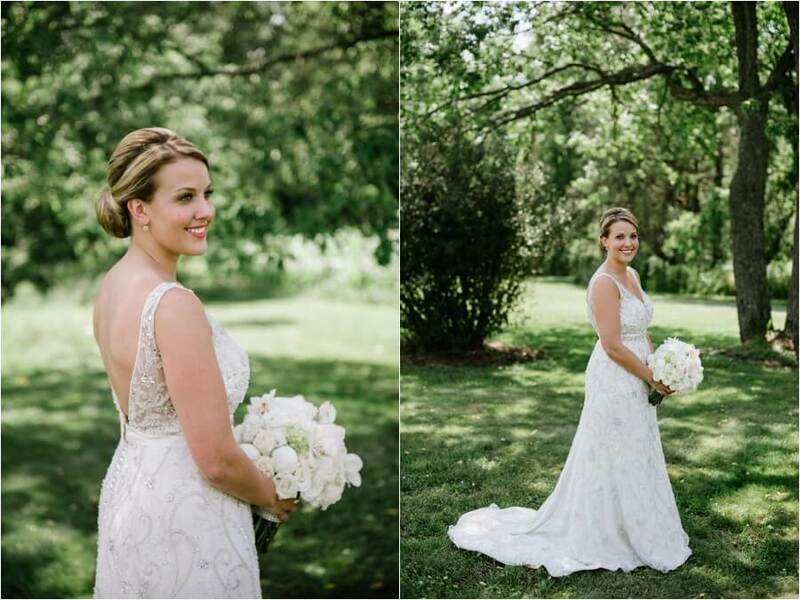 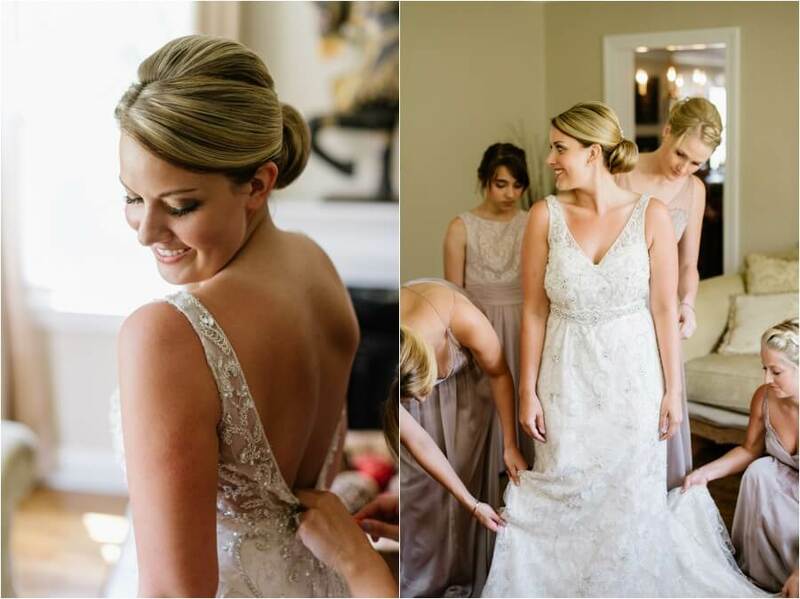 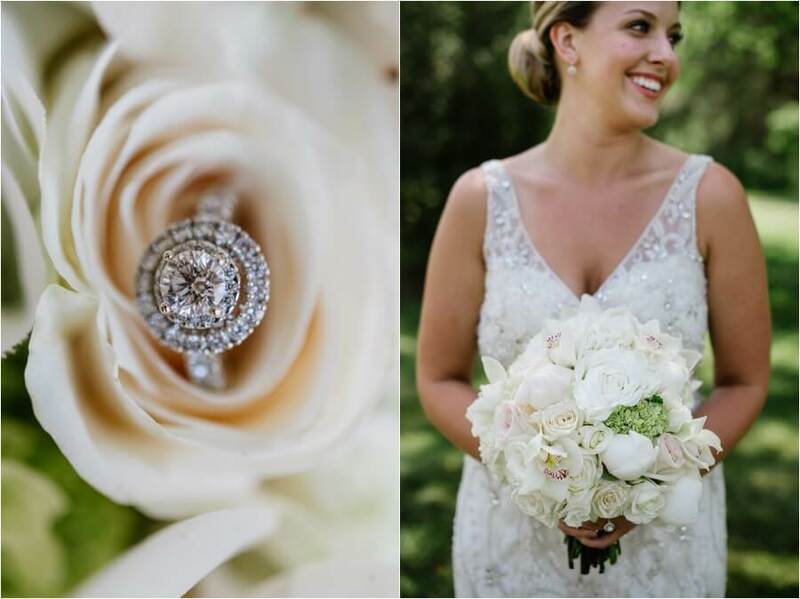 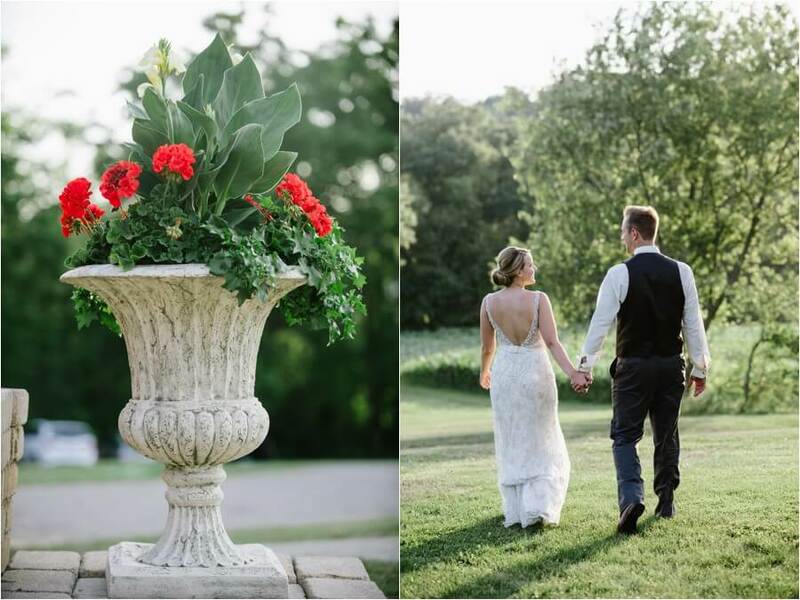 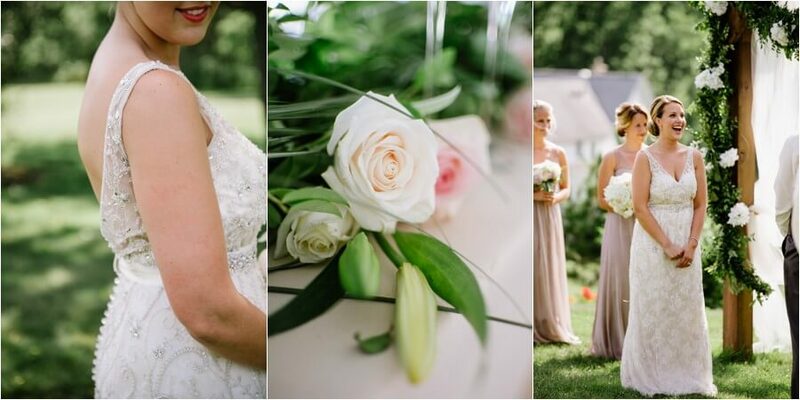 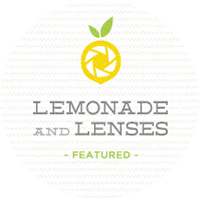 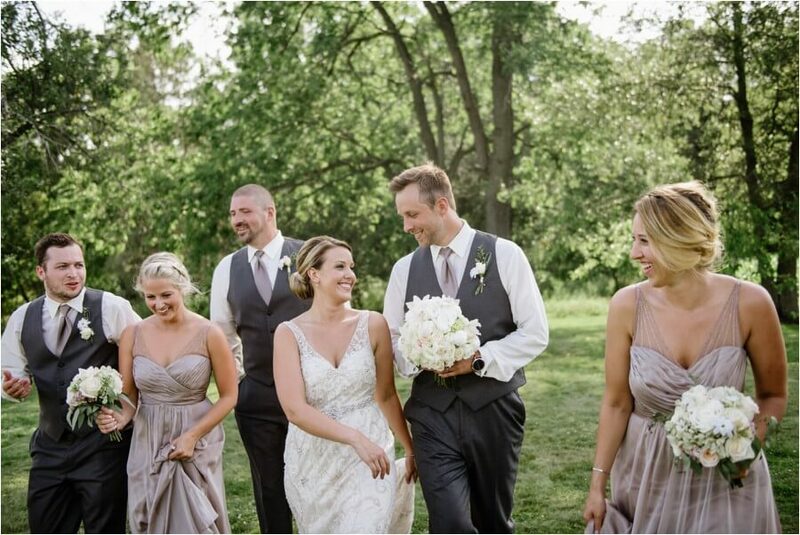 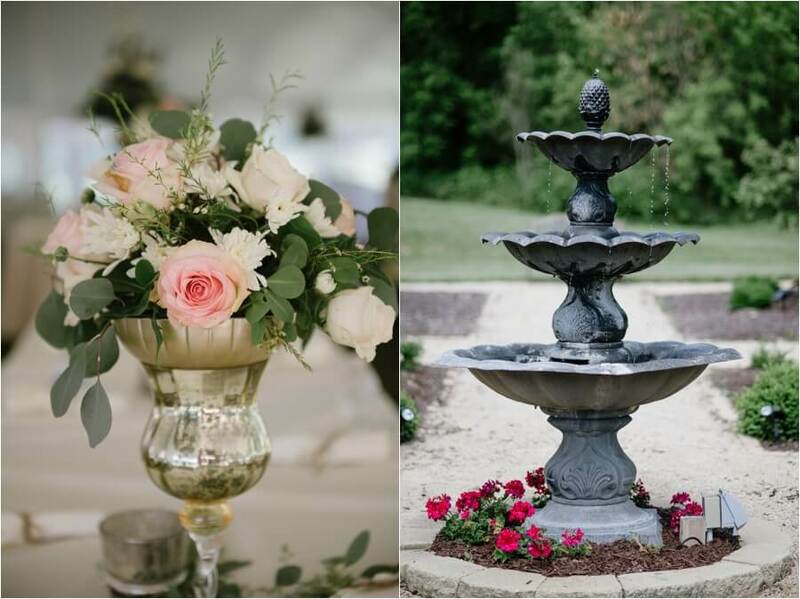 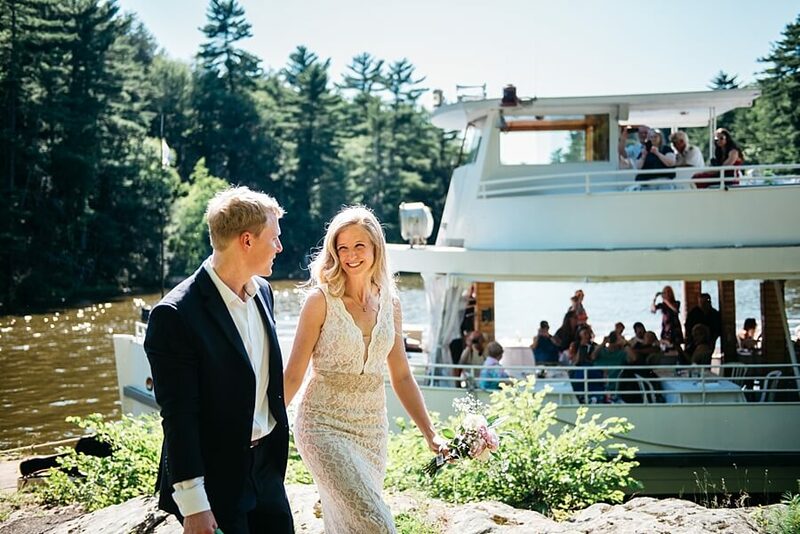 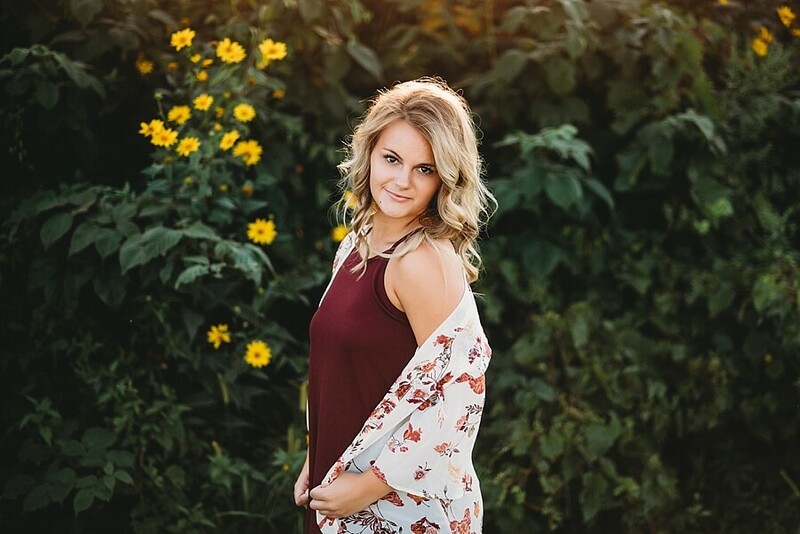 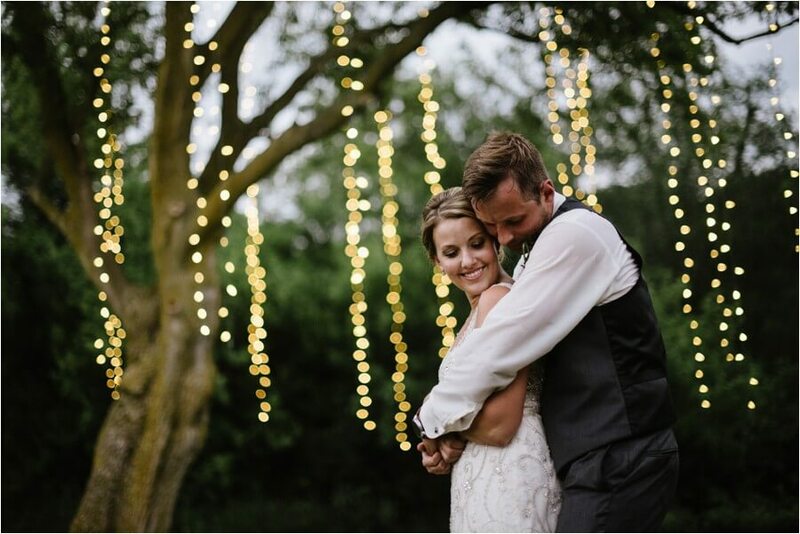 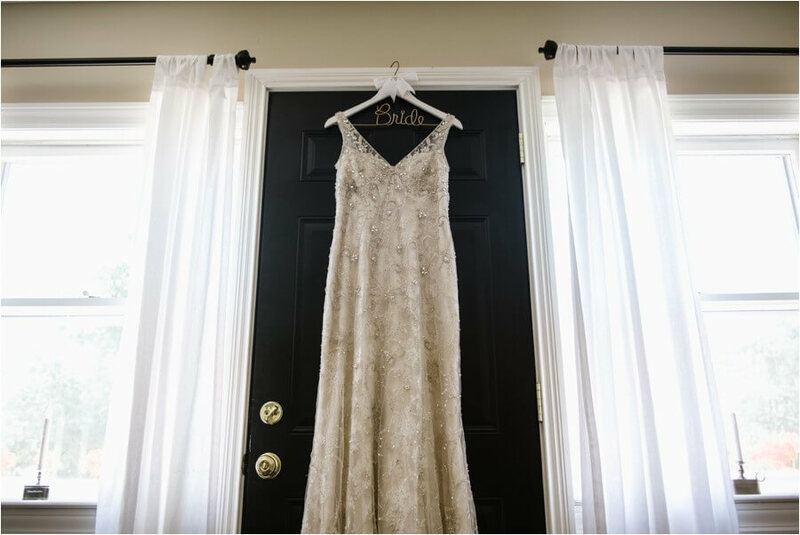 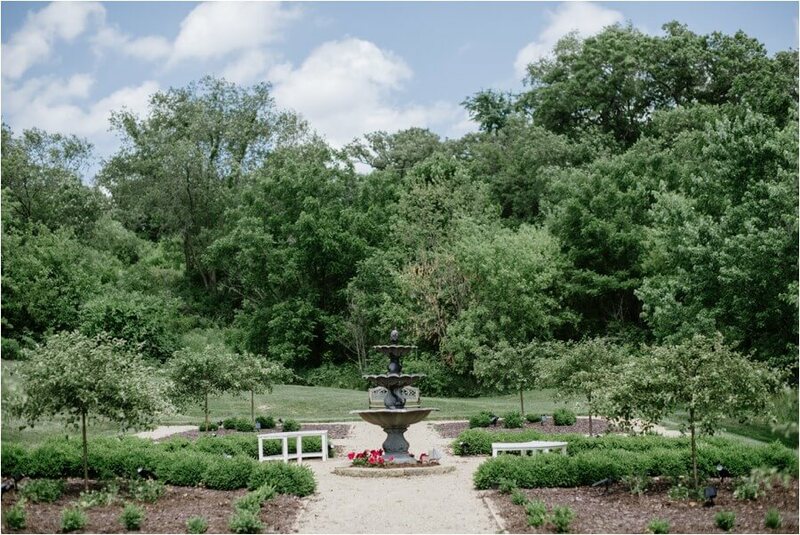 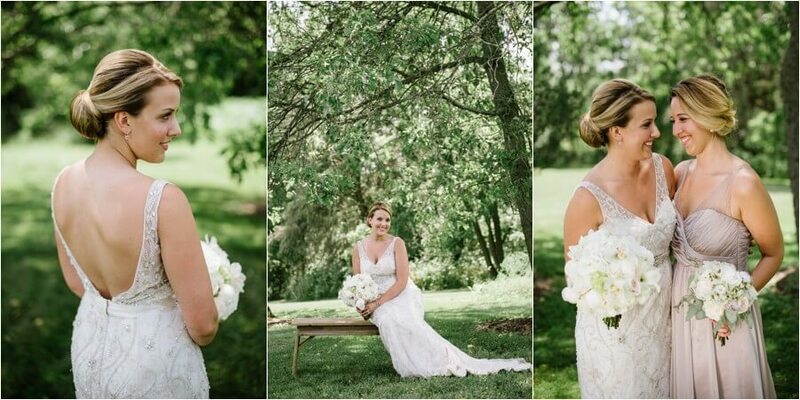 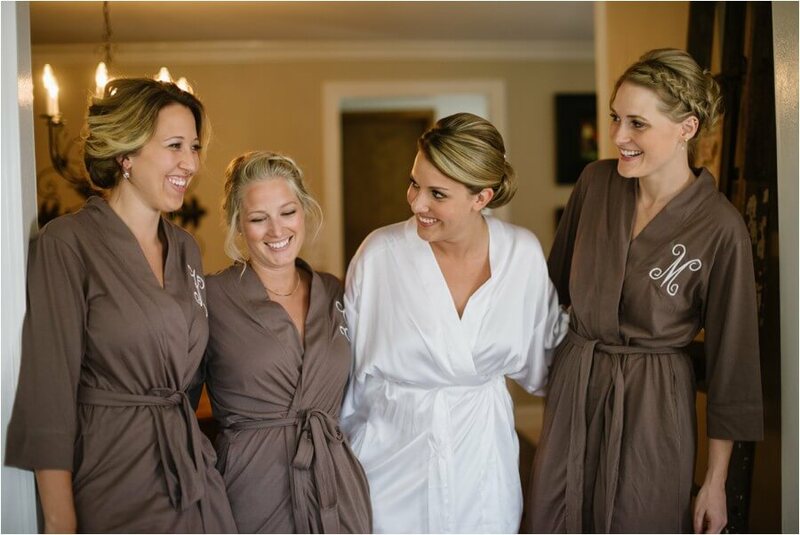 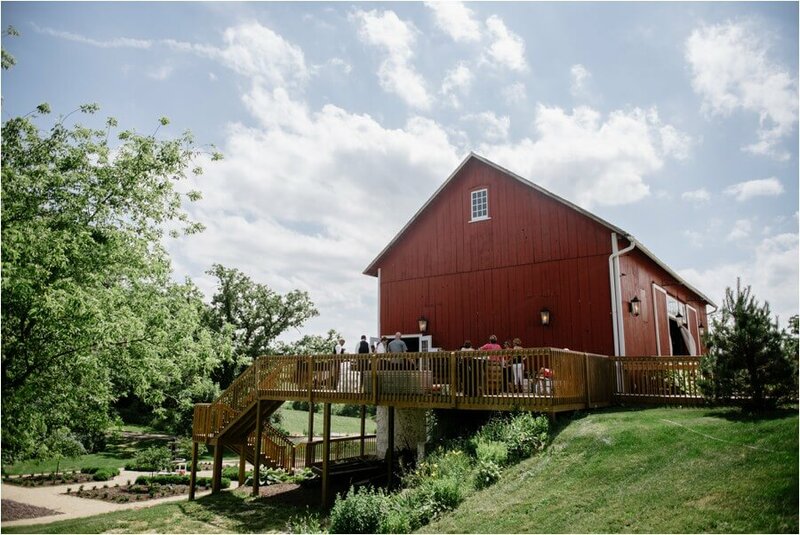 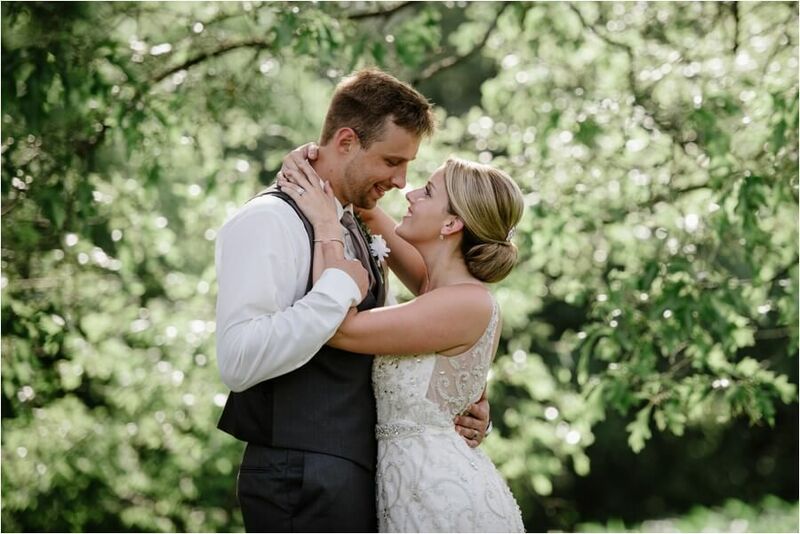 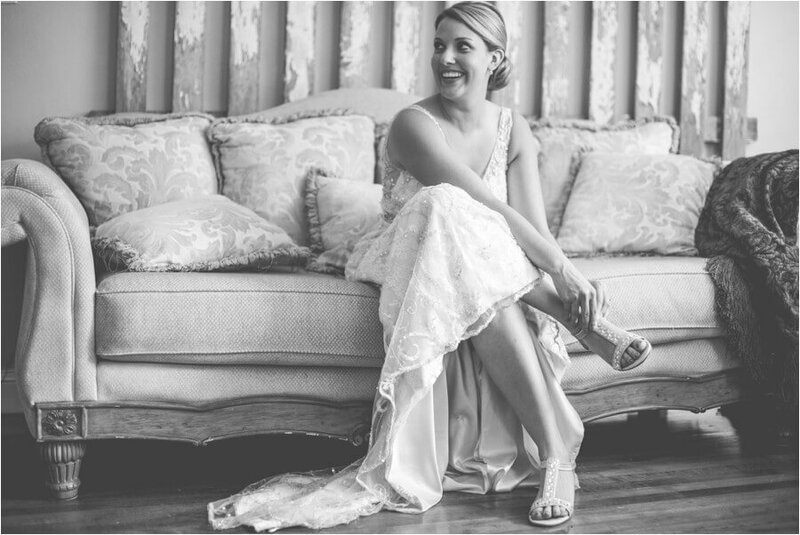 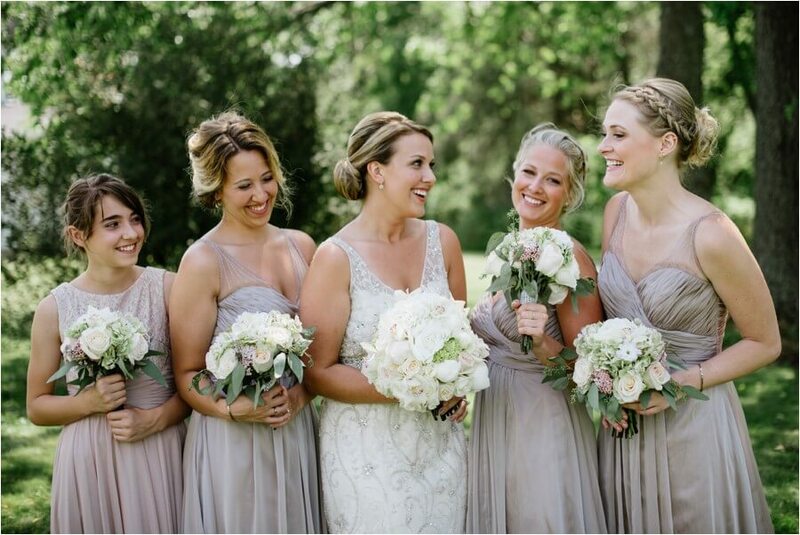 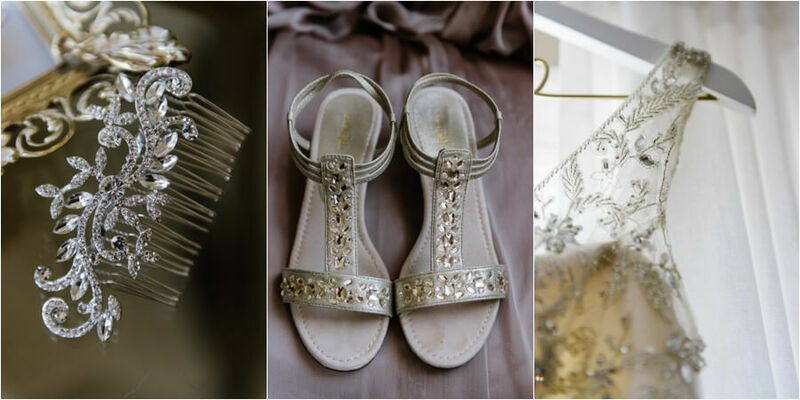 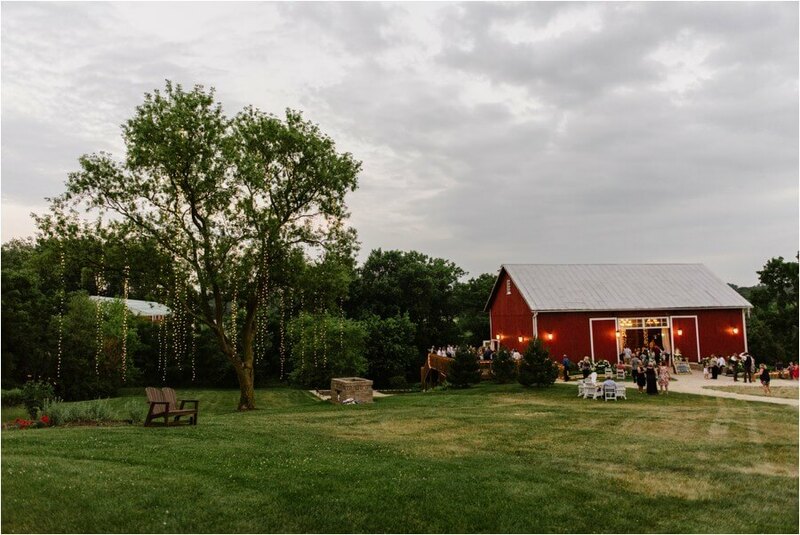 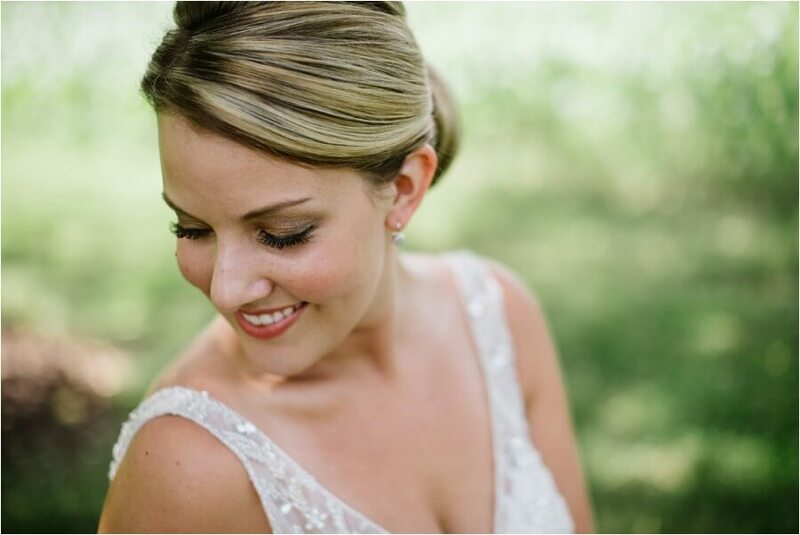 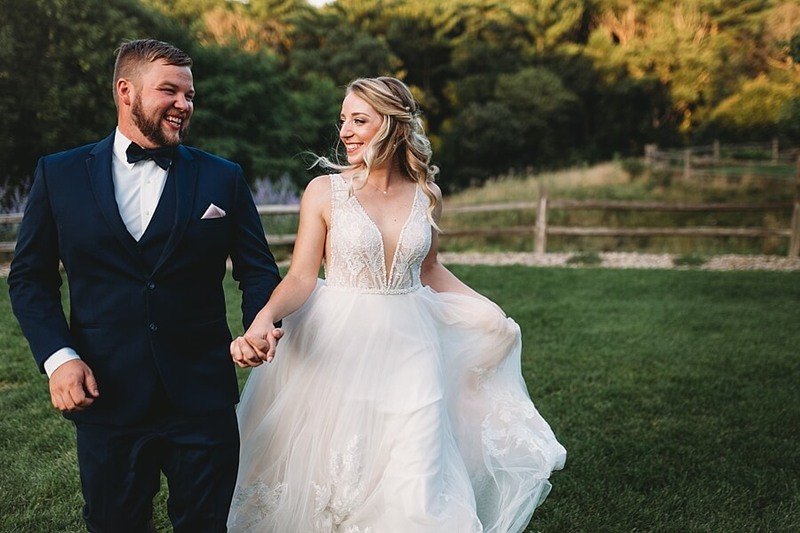 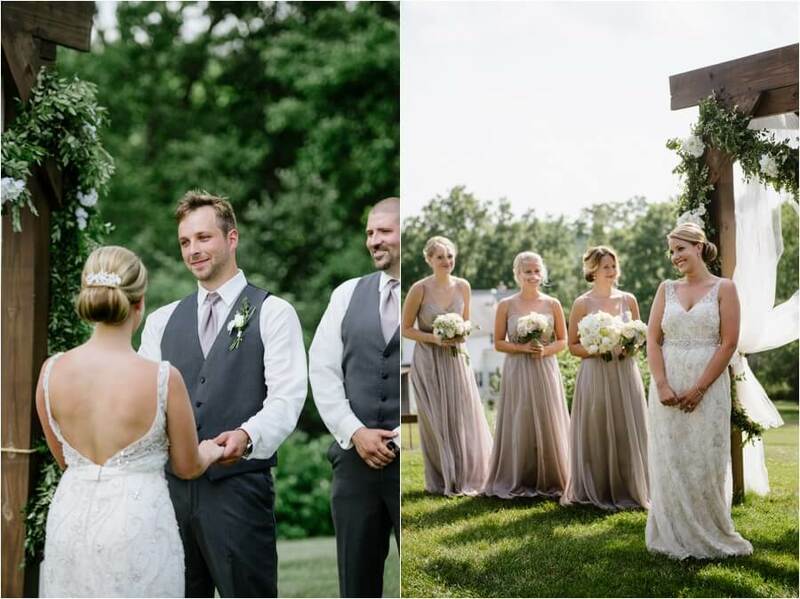 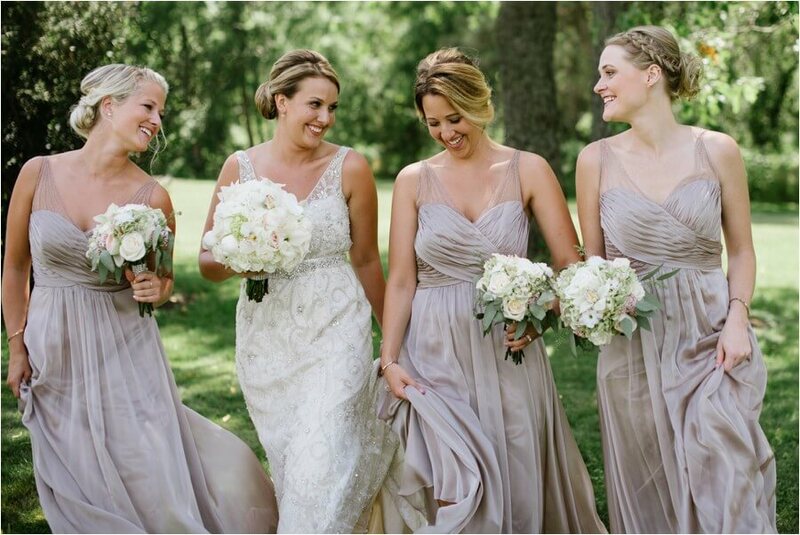 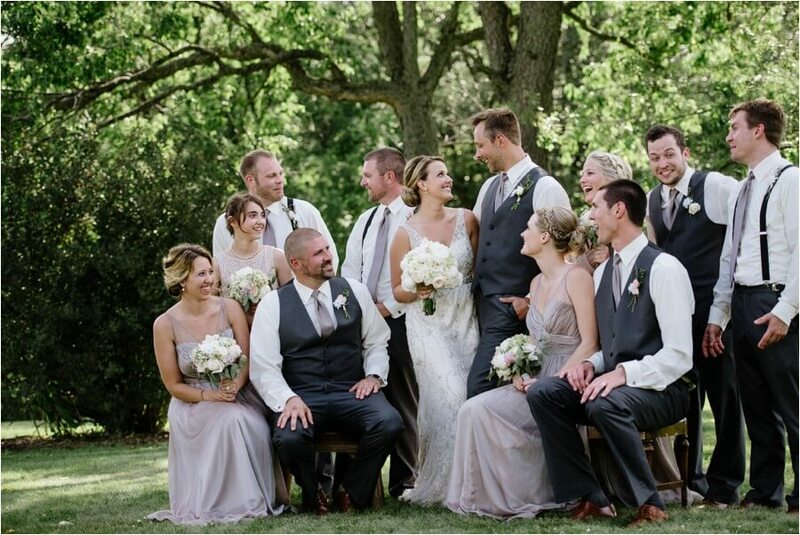 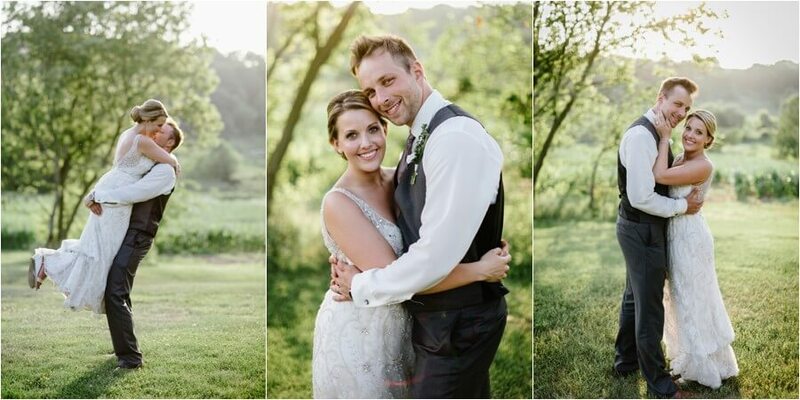 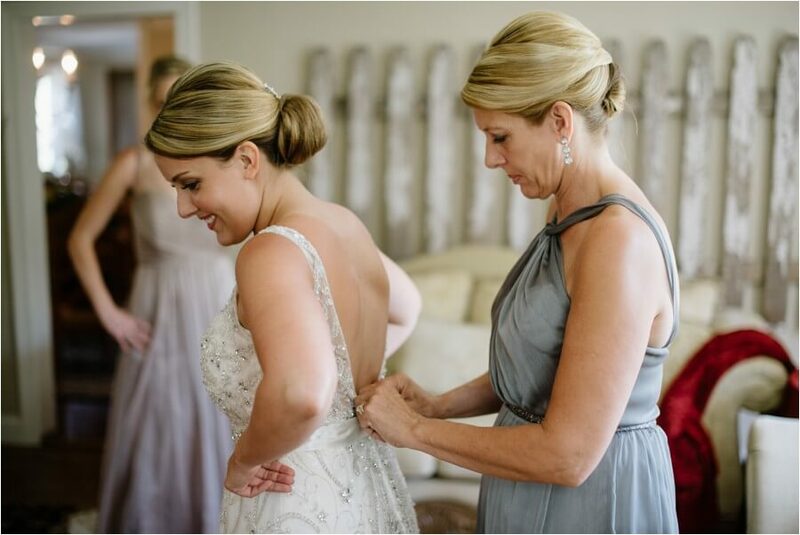 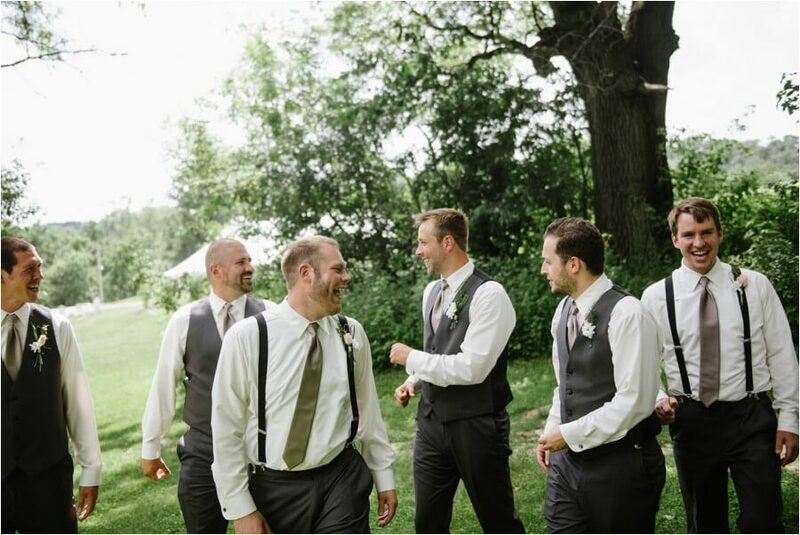 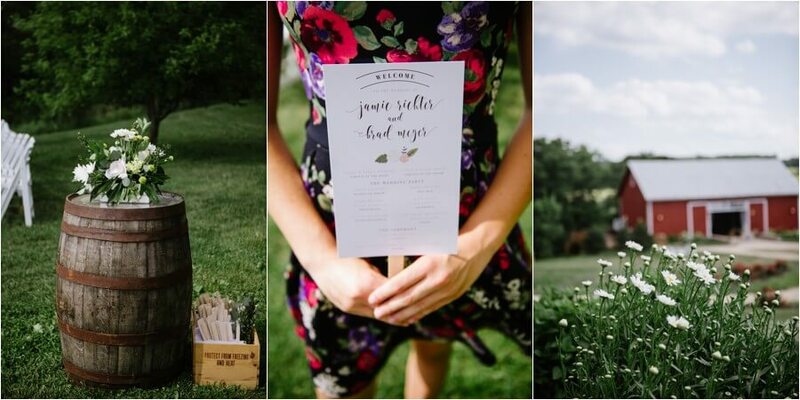 Beautiful grounds with the most perfect house for the girls to get ready in, a fountain, a gorgeous ceremony site on a hilltop surrounded by rolling hillside, a sweet barn, an outdoor tent with amazing florals and even a tree with cascading lights on it. 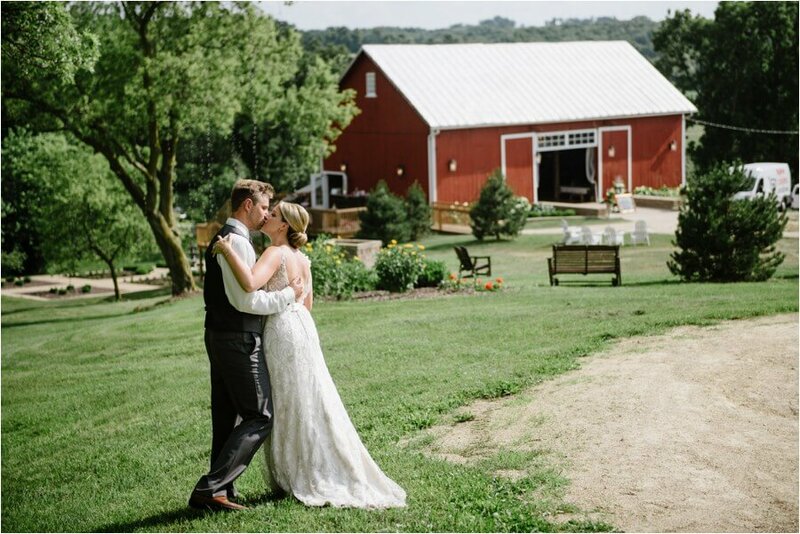 I was in heaven. 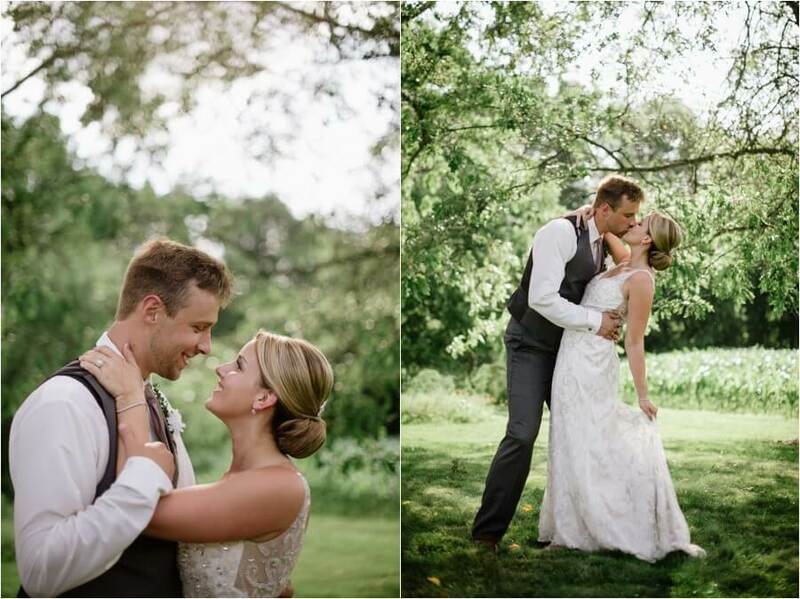 And with a couple as sweet, playful and vibrant as these two – I was smiling from ear to ear all day. 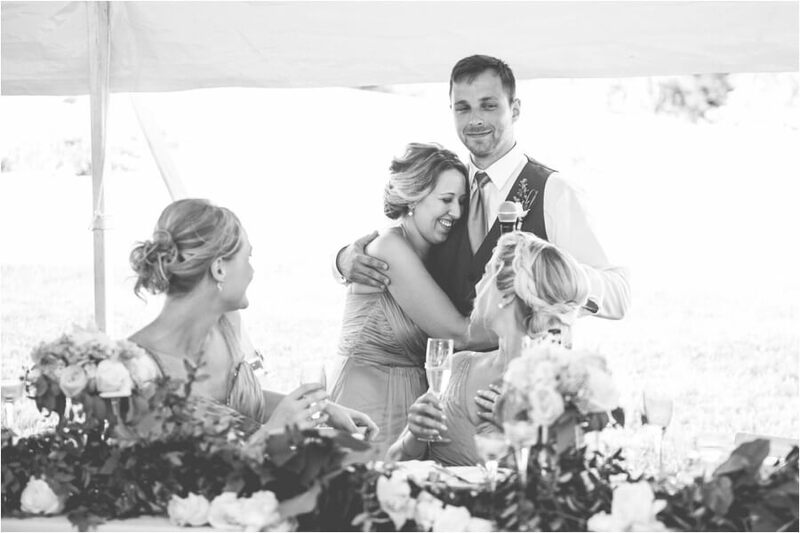 And with so many amazing friends and family that were there for these two, I felt so welcomed and at home. 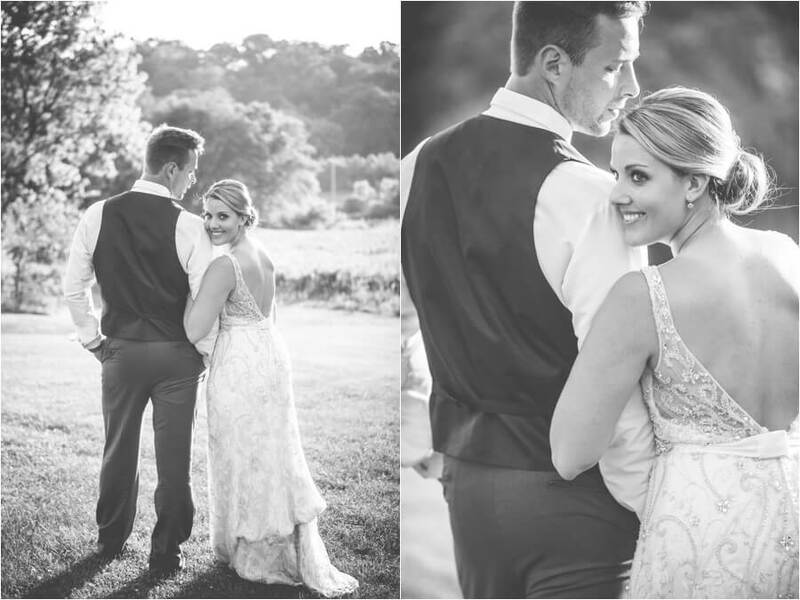 Jamie looked stunning and timeless in her beaded sheath gown as she came down the isle with her dad to one of my favorite Bon Iver songs, warm winds were blowing and happy groom tears were streaming…moments like those that are just so perfect and surreal and movie-like, I thank my lucky stars that I get to document this for a couple as sweet as these two. 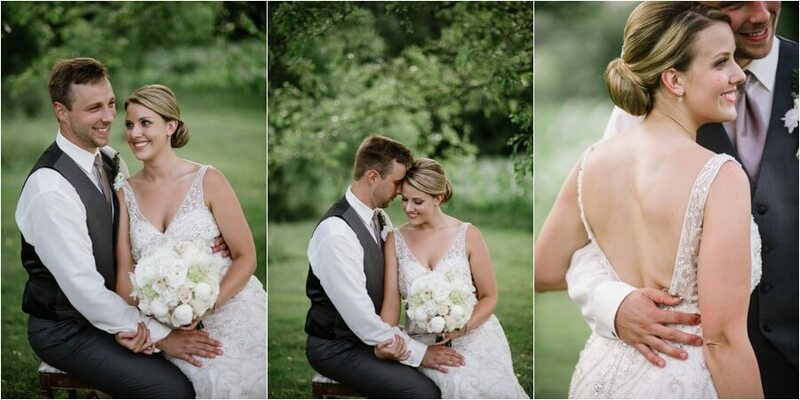 I wish you both all the best in the future and here are some of my favorite images from the day. 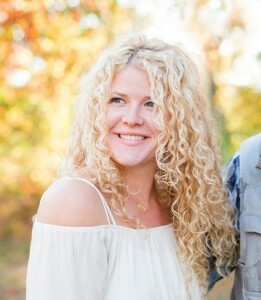 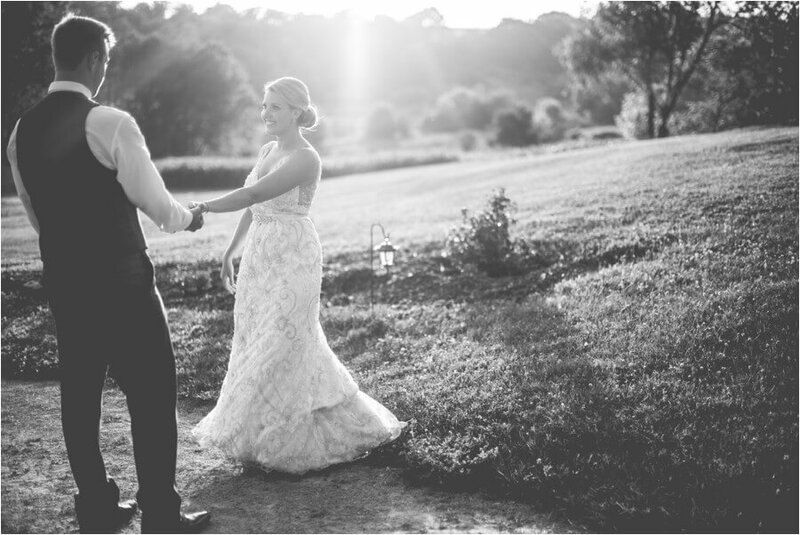 And a special shout-out to Katie Hunt who second shot with me that day! 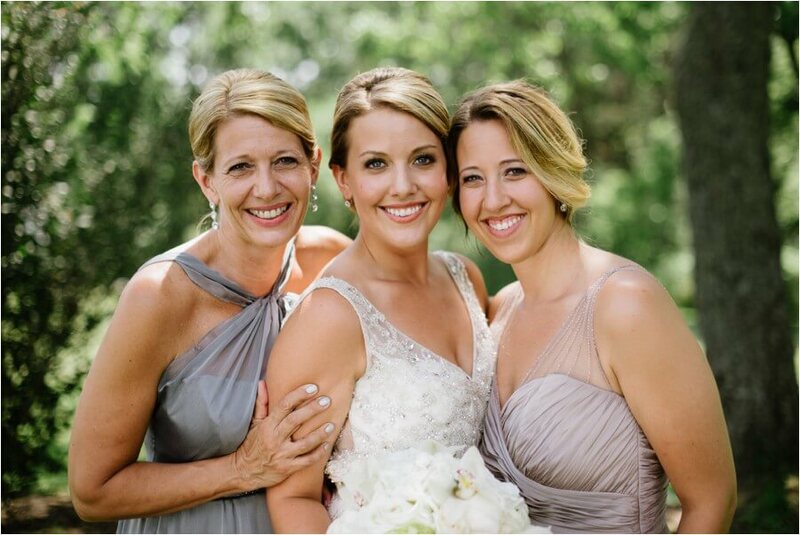 These mother, daughter, sister pics are my favorite! 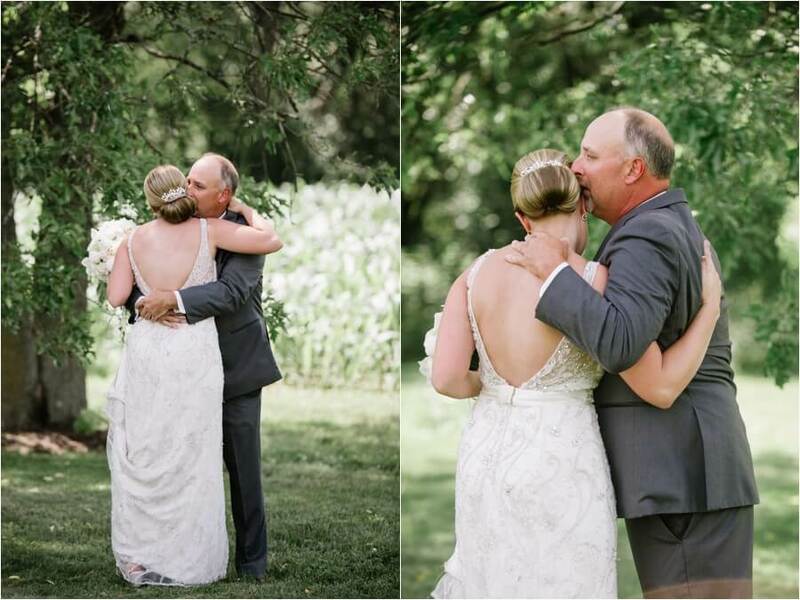 Seeing Dad for the first time – always gets me! 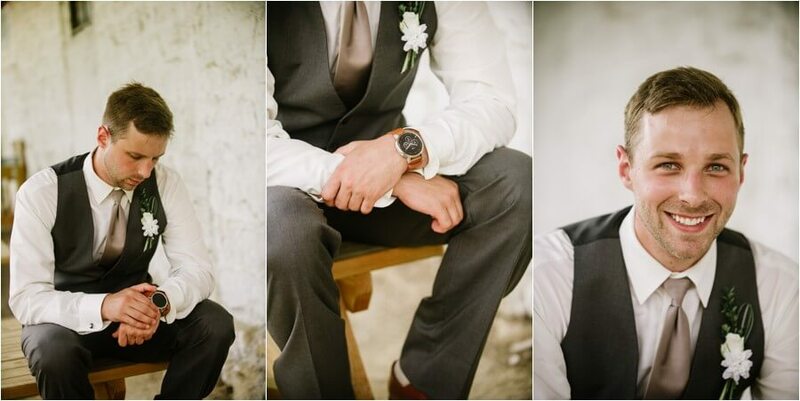 So handsome – those eyes!!! 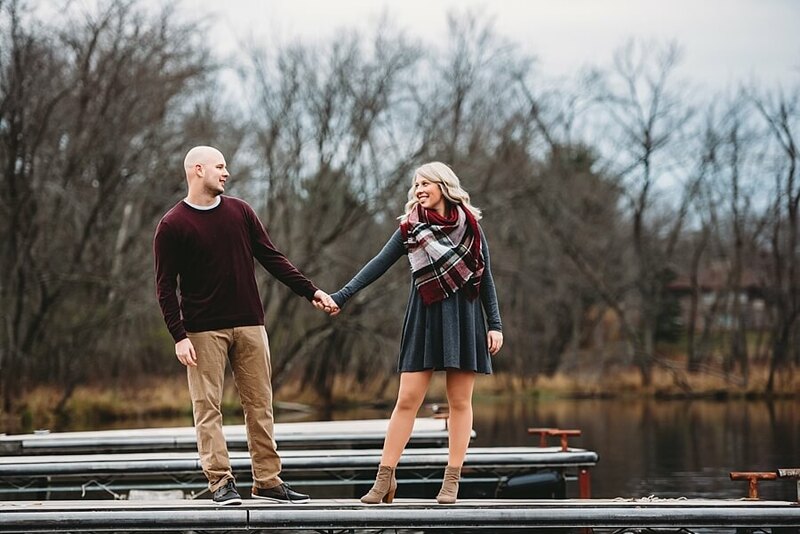 You two are going to make some beautiful babies someday! 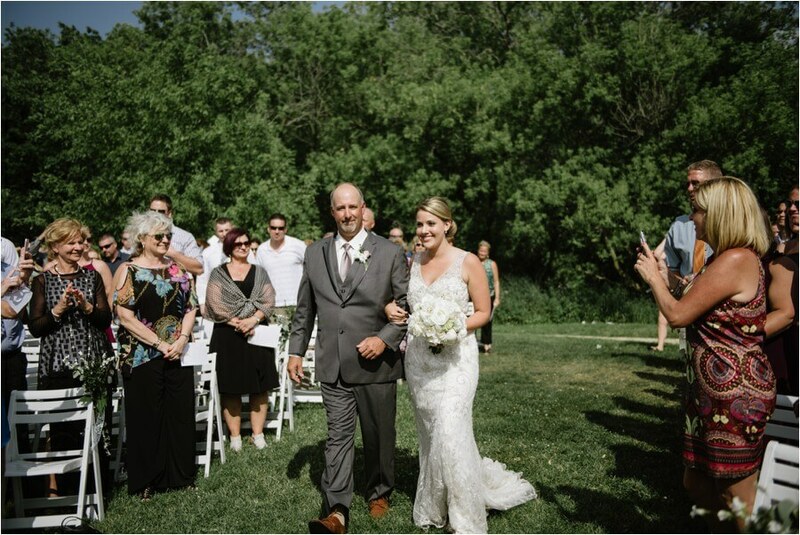 The trail that led to the ceremony site! 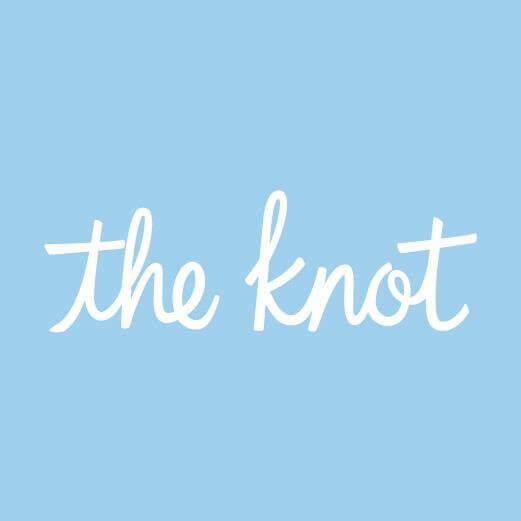 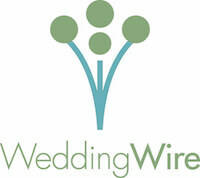 Time to get hitched! 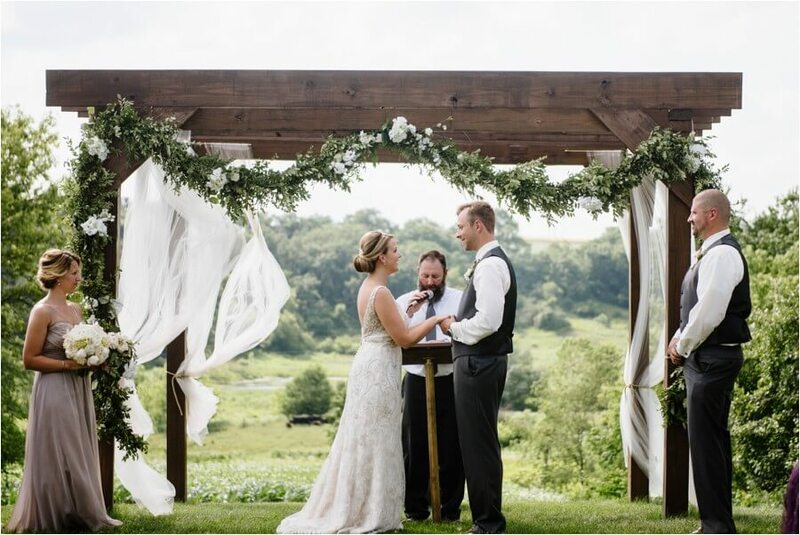 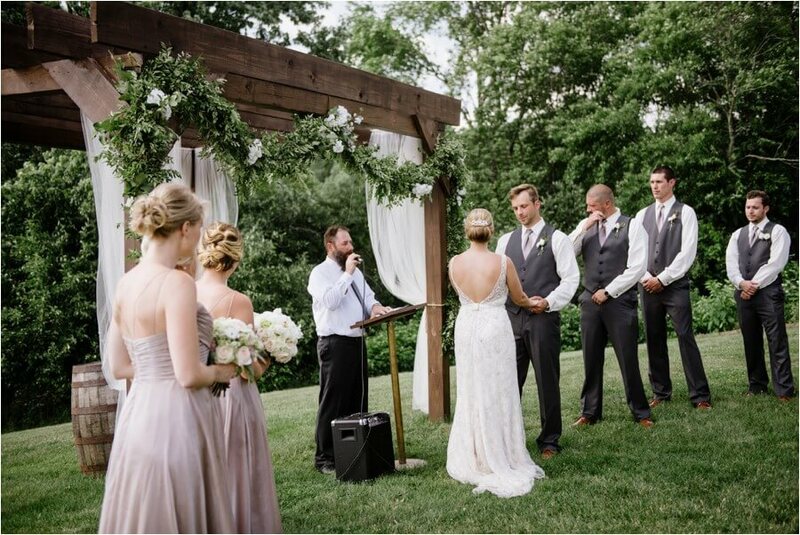 How perfect is this ceremony backdrop? 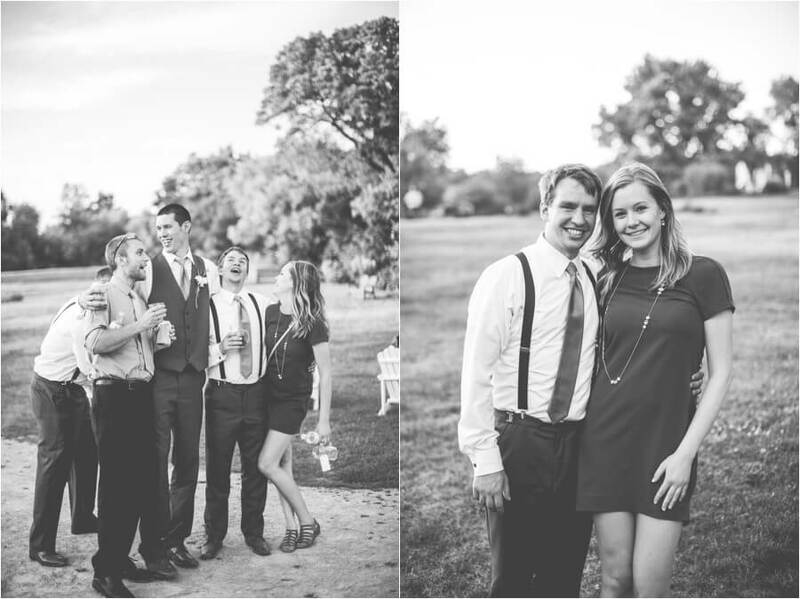 Such a fun wedding party!! 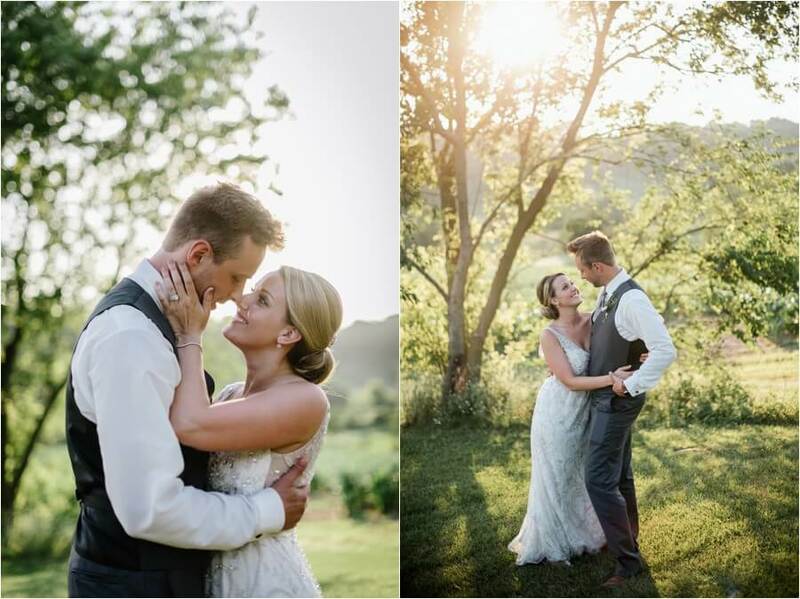 So happy we got to do some sunset photos – we had the most dreamy light! 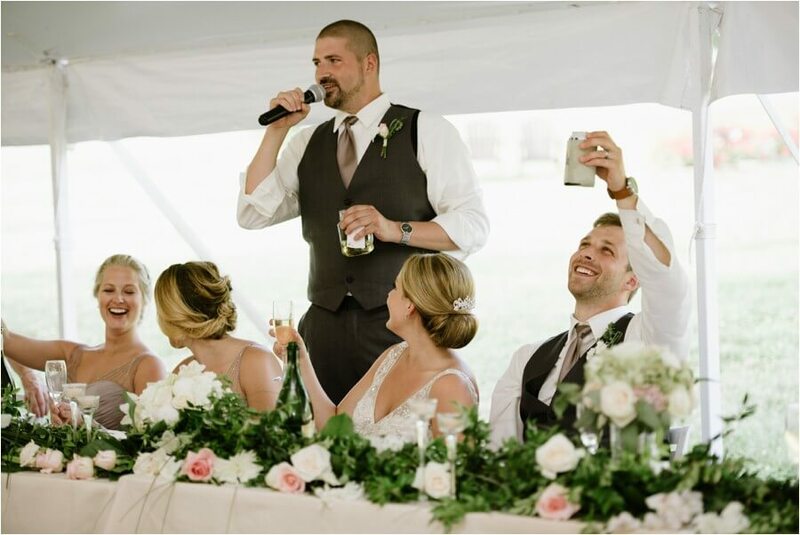 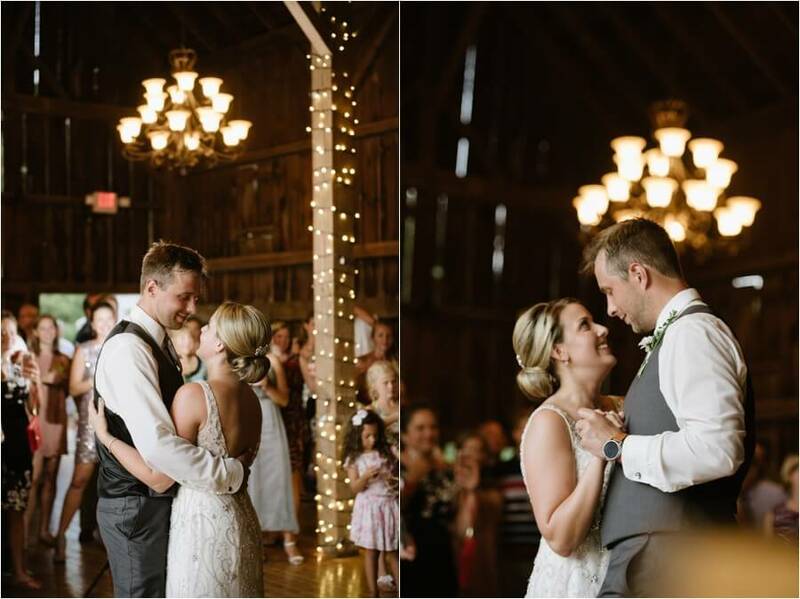 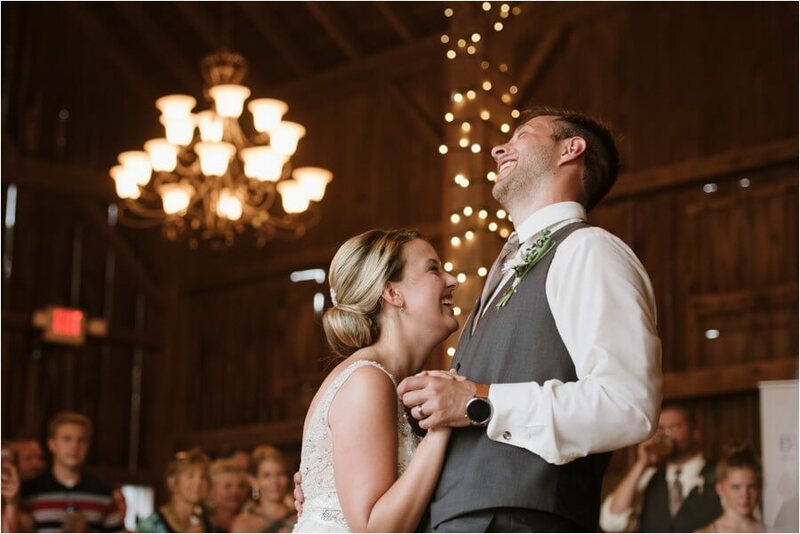 It was probably 90 degrees in the barn when they did their first dance – and laughter like this, you know these two are meant to be! 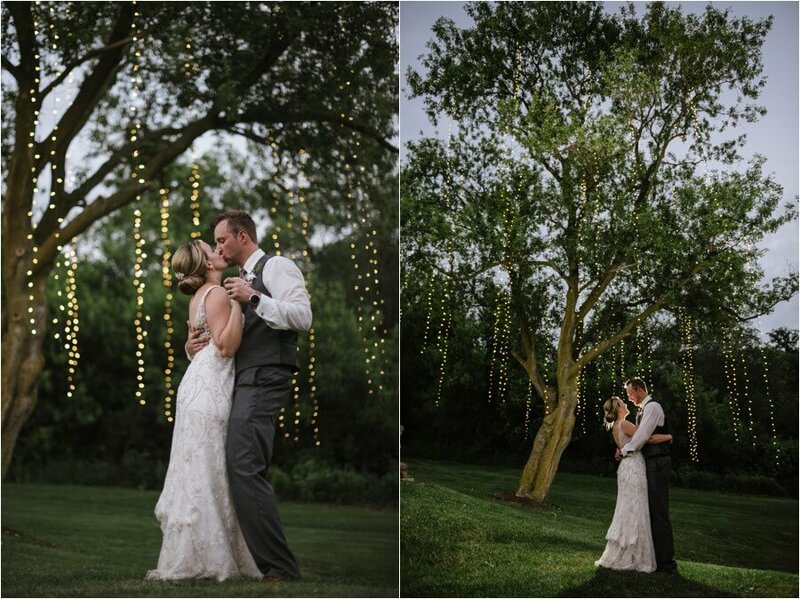 This tree at twilight was incredible!